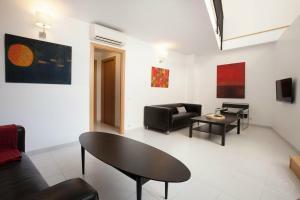 Large Guell Apartments offers free WiFi, air conditioning, heating and a furnished terrace. 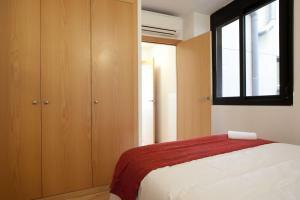 Set in Barcelona, the accommodation is 650 metres from Gaudi's Parc Güell. 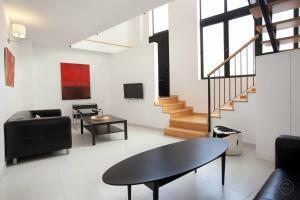 Spread over 2 floors, this bright apartment offers a spacious seating area with black sofas, a flat-screen TV and a DVD player. 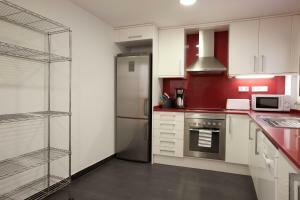 The kitchen is equipped with a microwave, dishwasher and a coffee maker. A washing machine is also available. 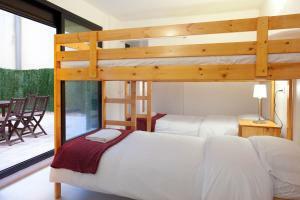 There is a bedroom with bunk beds for 4 persons, a twin bedroom and a double bedroom. 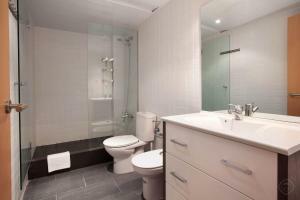 The apartment has 3 bathrooms with a shower and a hairdryer. 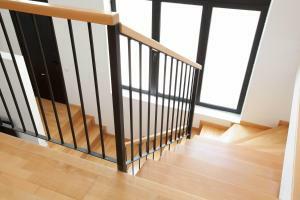 Bed linen and towels are provided. 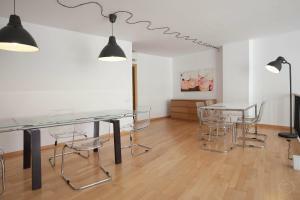 A variety of restaurants, shops and bars are within 5 minutes' walk from the property. 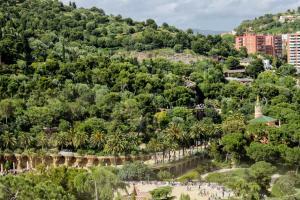 El Coll/La Teixonera Metro Station is 450 metres away. In order to guarantee the reservation, prepayment by credit card is made on the date of booking. The remaining balance is settled on location. The way of payment upon arrival is cash. 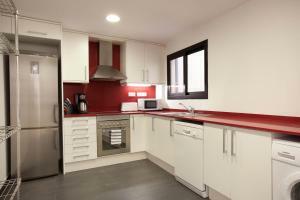 Arrival instructions and contact details are sent by the booking manager of the apartment after a successful prepayment. 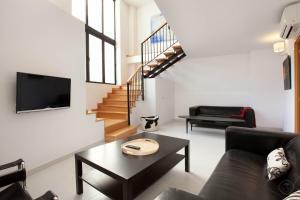 "The Three-Bedroom Apartment Large Guell is located on Aldea. 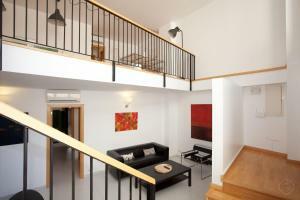 The first thing you notice about this apartment is its size; with a vast living room it has a wonderful sense of space. 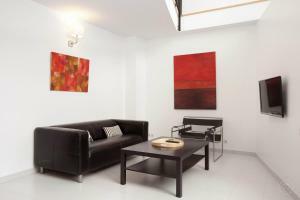 The living room is chic with smart black furniture contrasting with a white backdrop. 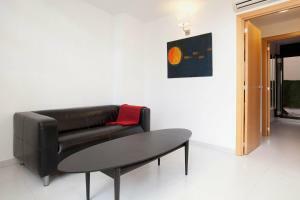 There is a sofa, coffee table and a flat screen TV for your entertainment. The built-in kitchen is quite large and is fully equipped, complete with everything you need for that perfect meal. The dining area is located upstairs. 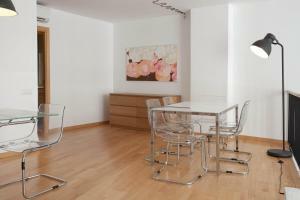 Here you will find two large and elegant glass dining tables with matching chairs; the perfect place for a group meal. 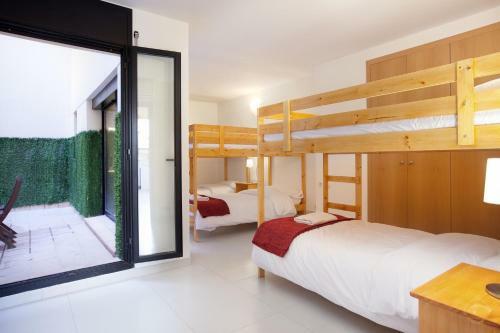 There are three bedrooms; one bedroom contains a double bed, the second bedroom comes with two single beds and the third bedroom with three bunkbeds, containing six single beds. 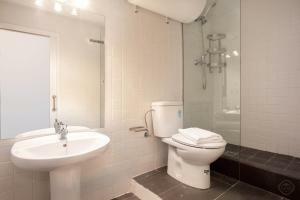 There are three bathrooms, all modern and tastefully designed, with showers and a hair dryer. 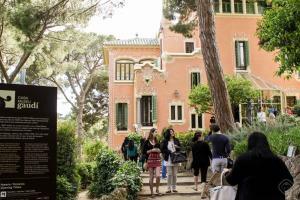 Of course if you do not want to dine indoors why not dine on the terrace and enjoy the Mediterranean climate. 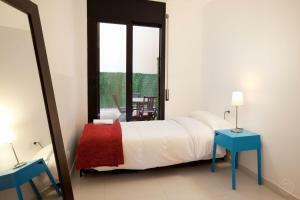 For your comfort there is a washing machine, iron and board, dishwasher, hi-speed Internet and air-conditioning. If you are visiting this great city with a large group or family, this is truly the perfect place for you. 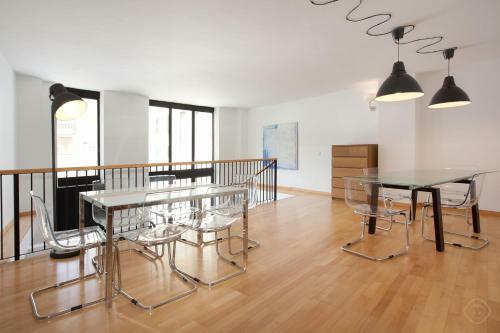 Located in a quiet area, this apartment is not far from Parc Guell, one of Gaudi’s crowning achievements. This strange, mesmeric fairytale like park is like nothing you have ever seen. If you can imagine a park designed by the Brothers Grimm, then you would not be far off. This is a must see on your trip to Barcelona. 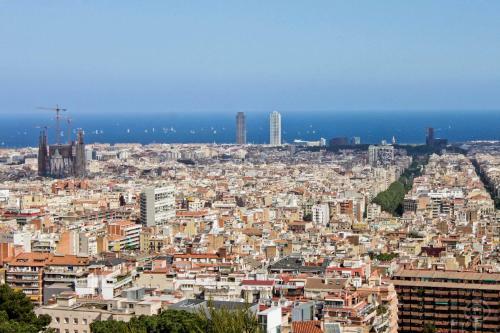 It is situated on the border of the Gracia district which was a town of its own until it was enveloped into Barcelona in the 1890’s. Tree-lined streets and a village like atmosphere make it a delight to just stroll around and get lost in. 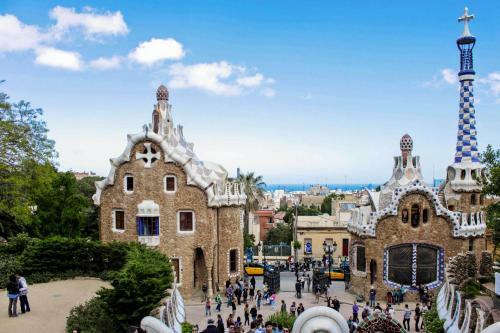 Picturesque plazas, bars and cafes dating back almost a century, novelty shops and an assortment of examples of stunning modernism architecture make it one of the most fascinating districts of Barcelona. Visit Avenida Diagonal & the Paseo de Gracia with their boutiques, nightclubs and above all La Pedrera, Casa Batllo and Casa Amatller, three houses designed in the modernist period. The World famous Sagrada Familia is another stunning example of Gaudi's work and has become the symbol of this great city. 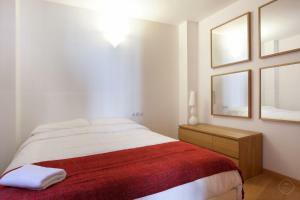 El Coll, Vallcarca and Penitents metro stations are just a few minutes walk from your apartment and take you right into the city centre in no time at all." 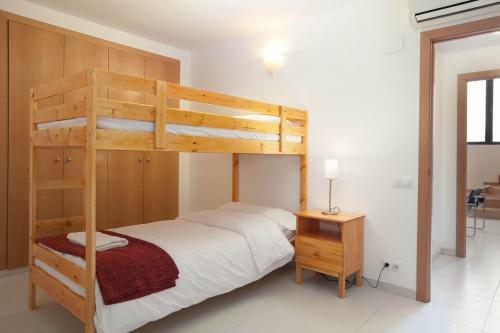 Rate: € 176.00; select dates below to get current rates.